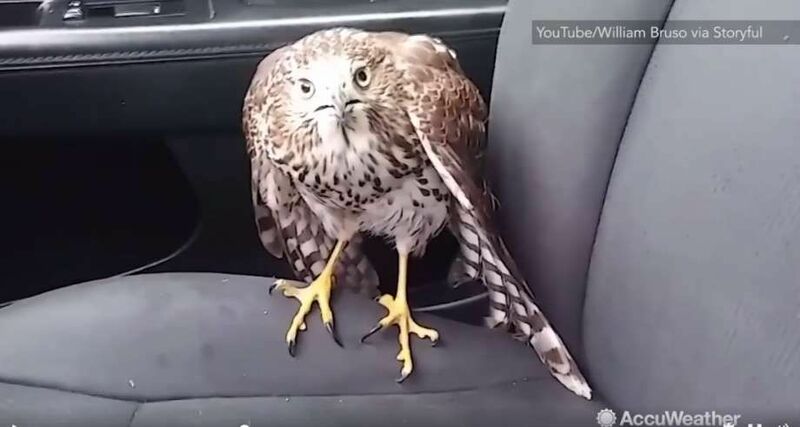 William Bruso was shopping for storm supplies ahead of Hurricane Harvey when he returned to a Cooper hawk sitting in his passenger seat. Posted in Hawk, Houston. Tagged Hawk, Huston, Taxi.